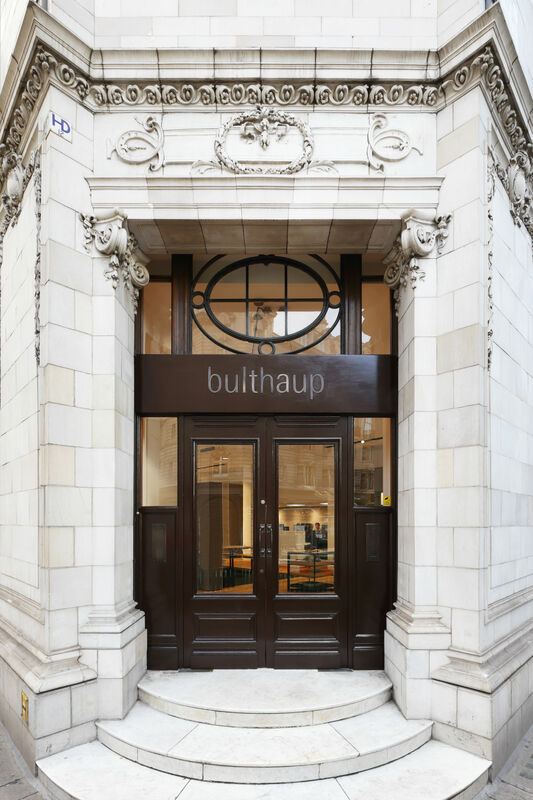 To commemorate the 30-year anniversary of their Central London showroom being open for business, bulthaup have revealed the Wigmore Street store’s re-fit. 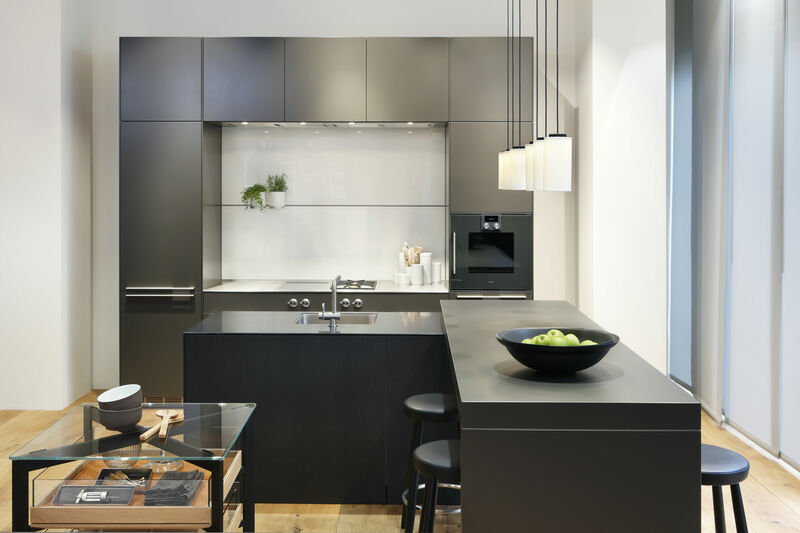 German kitchen design firm, bulthaup, opened their first London flagship showroom in 1988. Nestled into a Grade II listed corner site on Wigmore Street, the central location of the space and classical beauty of the building’s façade have proved to be a perfect showcase for the bulthaup brand. At the time of the flagship showroom’s opening, no other retail kitchen furniture brand showcased its name above the storefront. Alex Wrighton (who remains MD of the Central London showrooms to this day) felt that it was important to embrace the company’s identity, giving a clear statement of bulthaup’s philosophy and cultural heritage – and so the name of the well-known kitchen design firm sits proudly atop the showroom’s main doors. To celebrate their 30-year anniversary on Wigmore Street, bulthaup has given their flagship showroom an exciting refresh, including a complete internal refurbishment. The new layout of the space now showcases bulthaup’s four furniture systems – including their very latest launch, the b Solitaire ‘living space system’; this collection includes a range of tables, benches and storage elements that can be placed throughout both the living and dining room areas of a home. Both the flooring and lighting was changed during the internal refurbishment; Danish furniture company Dinesen supplied the wide, heart oak planks for the elegant flooring, whilst Spanish lighting manufacturer Santa & Cole provided the feature lighting. Bulthaup pride themselves on having a long association with both these companies – and they have always enjoyed collaborating with family-owned companies that share their values and philosophy. “Our clients appreciate the benefits of working with trusted brands,” bulthaup says, discussing their newly improved London showroom. “[Our clients want] premium products and service from experienced people who have a passion for quality craftsmanship in all that they do”. With the heritage of 30-years in one location with the updated, refurbished interiors, bulthaup’s Wigmore Street showroom is guaranteed to draw the eye.